Meet with purchasing officials seeking qualified Native American Indian suppliers at RES 2019! RES provides qualified American Indian owned businesses the opportunity to meet one-on-one with federal, state and local government purchasing officials, as well as prime contractors and private sector corporations. 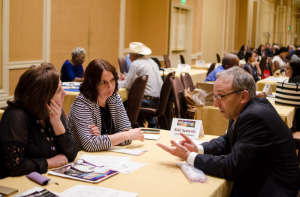 By taking part in RES's Buy Native: Procurement & Matchmaking Expo you have the opportunity to present your company’s goods and/or services to buyers from federal, state, and local governments, as well as Fortune 500 corporations.